I am an Associate in the Dispute Resolution team. 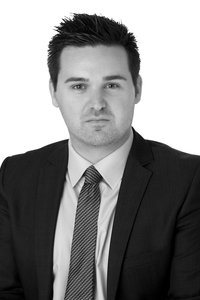 I have experience of working on a wide range of cases, including and involving commercial contractual disputes, consumer claims, corporate disputes, insolvency proceedings and contentious probate matters. I work with both individuals and businesses to provide strategic and commercial advice in relation to challenging contentious issues. I enjoy helping clients to resolve disputes as quickly and efficiently as possible, including through the use of alternative dispute resolution methods such as mediation. I have experience of high-value and complex litigation before the High Court in addition to handling claims before the County Court. Prior to joining Barlow Robbins LLP in February 2018, I studied at the University of Warwick and the University of Law in Guildford. Thereafter I trained and qualified as a solicitor at a leading UK regional law firm. I enjoy travelling, following various sports (particularly football) and I have a keen interest in history and current affairs.